On Your Mark, Get Set... FLASH BOGO Starts Soon! *Buy One, Get One 50% Off Women’s or Men’s Dr. Scholl’s® Shoes applies to the lowest priced shoe after every 2 Dr. Scholl’s® shoes that have been added to your cart. Can't be combined with any other offer. Online only promotion. This offer cannot be used on previously placed orders. Not redeemable for cash. Offer excludes shoes marked as Clearance. 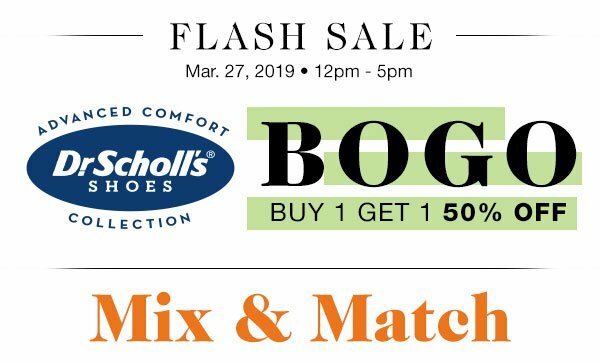 To claim the Buy One, Get One 50% Off Women’s or Men’s Dr. Scholl’s® Shoes promotion click the link provided or enter code SHOEFLASH at checkout. 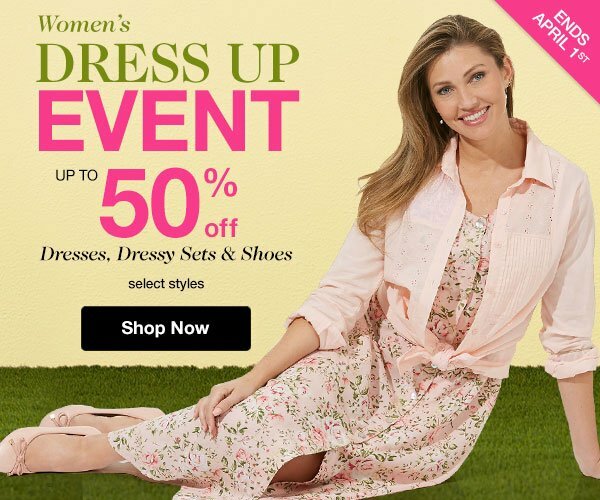 Minimum of 2 Dr. Scholl’s® shoes items in your cart is required and discount will apply to the lowest priced Dr. Scholl’s® shoes item (exclusions apply to item count and how percent is applied). Offer ends 4:59pm ET 3/27/19.